Samsung’s Smart TV platform seems very successful. It hit 5 million TV app downloads worldwide in less than 15 months! The new cool app offered by Smart TV called Smart View. It allows to mirror TV content on Android based smartphone or tablet over WiFi. Moreover, using that app user may access Smart TV apps loaded on the TV, use the app as a game controller, check TV listings and much much more. 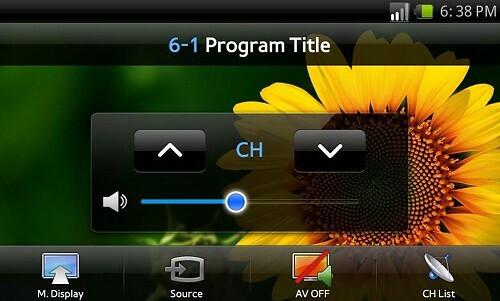 Currently Smart VIew is supported by Samsung GALAXY S II only. Other Samsung’s smartphone and tablets will run it soon. I don’t think Samsung will allow to use the Smart View on Android devices of other manufactures. Corporate interests are above all.